After months of endless rumors and speculation Nokia is expected unveil its Android smartphone, allegedly called the Nokia X, during a press event later this month at Mobile World Congress. Based on recent reports, the new smartphone will mix Microsoft’s services with Android’s wealth of apps, and now trusted tipster @evleaks has offered a bit more information on how Nokia will deliver those apps. If you were hoping the Nokia X would offer direct access to the Google Play app market you may be out of luck. According to @evleaks, the phone will feature a Nokia Store full of Android apps as well as access to some unnamed 3rd-party stores. That most likely means Nokia will be offering up a pre-selected lineup of Android apps, so don’t expect access to see available the latest applications as soon as they land on regular Android handsets. Our Twitter leakster also offers up a familiar list of low-end specs, which line up with a leaked retail listing spotted earlier today, though he adds a 4-inch WVGA display and 1500mAh battery to the list. 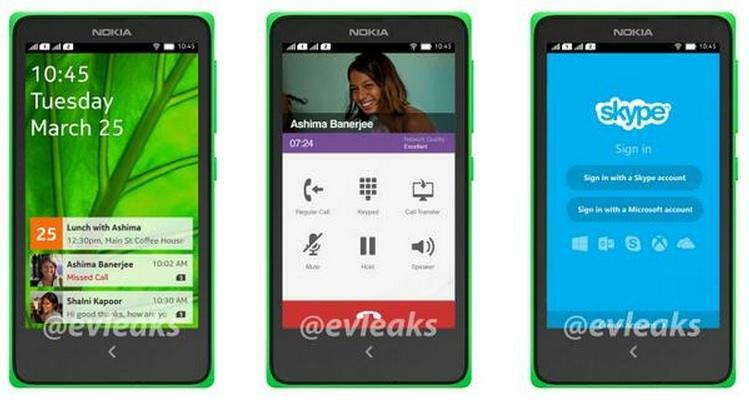 From the looks of it, the Nokia X is primed to replace the company’s Asha line of devices, though we won’t know anything for sure until Nokia makes an official announcement.